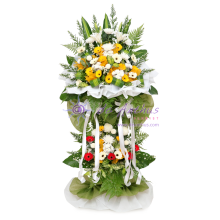 Express your Condolences & Sympathies with FLOWERS. 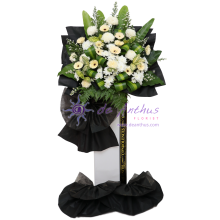 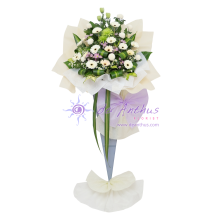 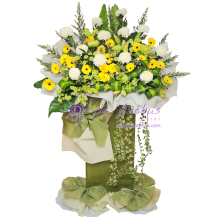 De Anthus Florist provide a wide selection of Condolence Wreath / Funeral Flowers Stand & delivery service covering all major area throughout Klang Valley, Petaling Jaya(PJ), Kuala Lumpur(KL) Malaysia. 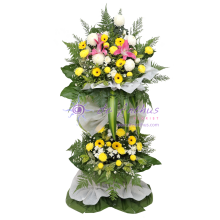 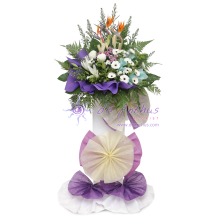 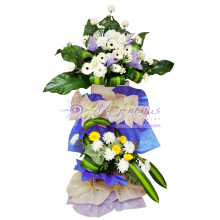 De Anthus Florist highly recommended iron stand for all standing type of flower arrangement.